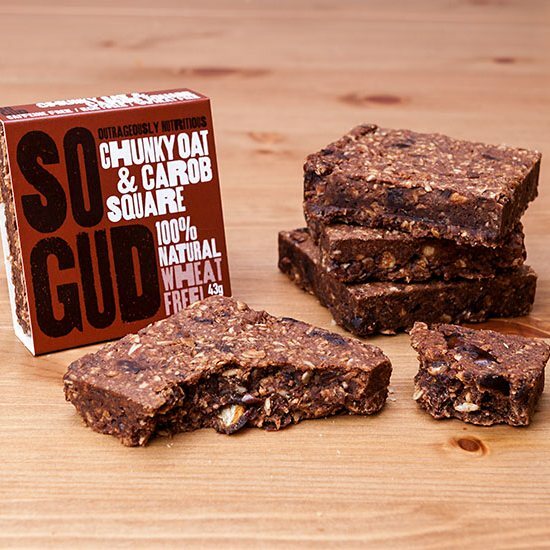 These scrumptious naturally indulgent, nutritiously dense Chunky Oat and Carob Bites and Squares are packed with carob, chia seeds, honey and coconut. 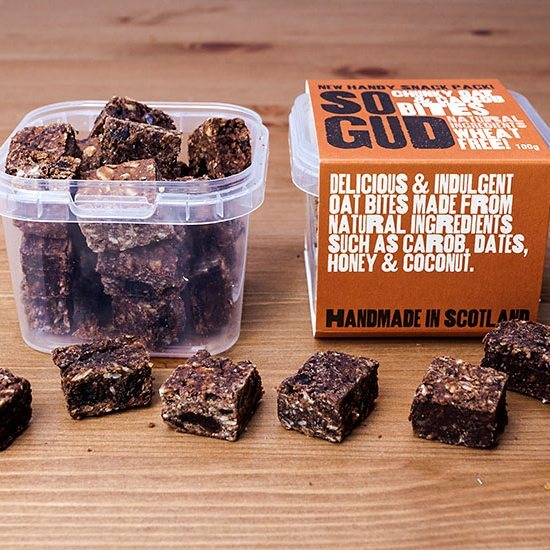 Scientifically developed in conjunction with leading Scottish nutrition and product experts, they combine carefully selected wholesome ingredients to proactively feed your body with every delicious mouth-watering bite. They are perfect for popping into a pocket or bag when commuting or doing endurance sports such as Triathlon or Golf. Lovingly handmade without wheat, eggs, refined sugar, artificial ingredients, while still retaining delicious moist and chewy taste. Just tried So Gud products for the first time today and they are amazing! 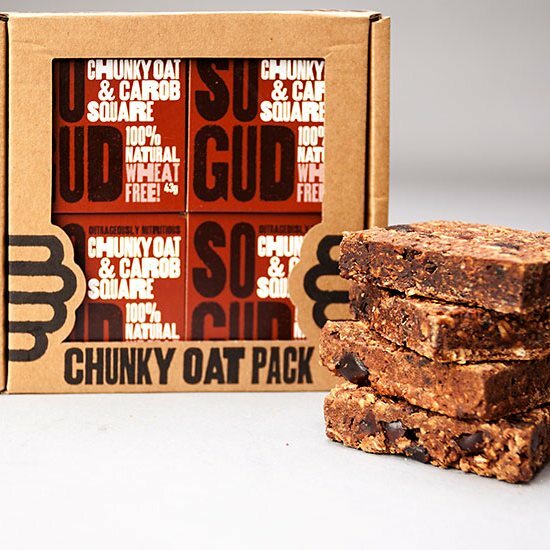 Well done Teri and Neil - genuinely impressed with the quality of packaging, ingredients and proper 'feel gud' flavour! !